Take a look at the events we’re taking part in 2019. Get in touch to arrange a meeting with us - see you there! OAL will be exhibiting the PPMA Total 2019 show held at the NEC in Birmingham. One of UK’s largest processing and packaging machinery exhibitions, PPMA Total is staged every three years. Please do get in touch if you would like to arrange to speak with us at the show or if you would like any more information on the event. On 9 April at 11.00, Jake Norman, our Head of Innovation, will be taking part in a panel discussion at the Ingredients Show at the NEC in Birmingham. Jake and the rest of the panel will be tackling the topic of ‘How smart manufacturing and IoT is driving the next industrial revolution’ in The Ingredients Show Education Theatre. Please do get in touch if you would like to arrange to speak with Jake at the show or if you would like any more information on the event. 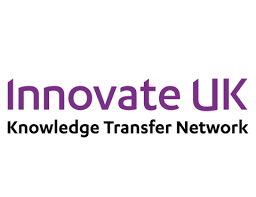 On Thursday 21 March, Innovate UK and the Knowledge Transfer Network will be holding the second Food Industry Innovation Showcase, this time focusing on high growth potential SMEs in the foodtech space. We are delighted to announce that Lauren Moir, International Marketing Manager at OAL, will be taking part in a panel discussion at the event, tackling the question of food manufacturing and process efficiency – where can efficiencies be made? If you would like to arrange to speak with Lauren at the show or if you would like any more information on the event, please do get in touch. Join Jake Norman at Food Matters Live where he will be speaking in the "Breakthrough technologies disrupting the food and drink landscape" session on Tuesday 20th November at 3pm. Join OAL and the University of Lincoln at the Institution of Mechanical Engineers' Robotics and Automation in Manufacturing Seminar. 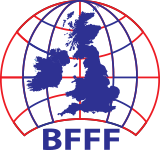 We will be providing an insight into our recent joint robotic weighing research and development project and also discussing why food manufacturers need to make the most out of the developments in robotics and automation for manufacturing to improve efficiency and ROI. We're pleased to announce that we've been invited to be part of the Innovation Alley at this year's Smart Factory Expo. The Smart Factory Expo will run as part of the Digital Manufacturing week on the 14th and 15th of November at Liverpool's Exhibition Centre. Smart Factory Expo is Europe’s biggest showcase for the Fourth Industrial Revolution (4IR) - a revolution in manufacturing agility, innovation and thinking. On our stand, we'll be showcasing our cutting edge robotic and automation technologies transforming the food manufacturing industry including our APRIL Robotic Weighing System; a highly efficient way of handling and weighing dry micro-ingredients. Contact us today to book a meeting with one of our experts so you can start revolutionising your food manufacturing. Join OAL at the Appetite for Engineering 2018. Speak to our experts and get hands-on with the new foodtech to help you tackle productivity, efficiency, and traceability in your food business. Experience cutting edge robotics and automation on our stand at the PPMA Show 2018. Join OAL at the UK Produce Industry Fair 2018 on stand 13 and see a live demo of our latest OAL Connected module, APRIL Eye, helping food manufacturers reduce their wastage and protecting them against human error. After a sell-out class in June, we're organising a cooking class in July! Date and theme are to be confirmed. To register your interest, please fill out the form below and we'll be in touch once a theme and date have been confirmed. Be quick as places are limited and will fill up fast! Please note, this class is now full. We will be publishing details about our July cooking class shortly. Please follow this link to register your interest for the July cooking class. Learn how Steam Infusion cooking has helped sauce manufacturers eliminate burn on, enhance flavours, create consistency and increase productivity at our Steam Infusion Cooking Class. What: Steam Infusion Cooking Class - BBQ Sauce and Tomato Ketchup. When: 10:00am, Thursday 14th June 2018. Join Chris Brooks, OAL’s Development Chef as we quickly cook up a batch of clean, fresh and flavoursome tomato ketchup and BBQ sauce to taste and see the Steam Infusion difference! Discover how we're using robots to cook products more efficiently. See a Steam Infusion system in operation within a UK based food manufacturer and discover the benefits of switching first hand. We're looking forward to welcoming our guest speaker Carl Baxter. Carl has 30 years experience of working in the food industry. His specialist areas are Operations and Supply Chain management, especially around product development, process development, change processes, business IT solutions, and automation. We look forward to hearing from Carl. Discover the latest food tech and research coming out of the UK food industry in hall 10.1, stand B10. Join OAL at this unique Innovate UK event which brings together the food and drink community to learn and share. OAL's Jake Norman will be speaking about the successful research and commercialisation of Steam Infusion and our APRIL Robotics technologies. Join OAL at Empack 2018 on our stand G4 for the launch of APRIL Eye and discover the very latest technological advances in packaging technology at the two-day event starting Wednesday 28th February at the NEC, Birmingham. Join OAL at this year’s event, talk to our experts and get hands on with the new technologies that can help you tackle productivity, efficiency, and traceability in your food business. Learn how we’re using £4million of Innovate UK research projects to bring about a step change in food manufacturing performance using technologies including collaborative robotics, advanced vision, machine learning and big data. So, if you’re looking at a new dry materials handling system, yes we can speak to you about the practicalities of big bags and silos, but, you’ll also get to discover our cutting-edge APRIL Robotics Weighing Station for fully automated weighing with a collaborative robot. Likewise, our experts will be on hand to share best practice advice around stopping label and date code errors and retailer code of practice compliance. But we can also show you how machine learning and big data can deliver the insights you need on the packaging line. And, if you’re looking at cooking and cooling, discover how we’re combining our rapid steam Infusion cooking with cryogenic cooling to reduce food waste and preserve natural homemade flavours. Discover the latest food tech and research coming out of the UK food industry. Learn how robotics, artificial intelligence, big data and new processing technologies can help you tackle productivity, food safety and traceability in your food factory. Join us on our stand Z3-F75. Get to grips with industrial digitalisation by discussing the impact of new technology trends with our team of experts. Learn how new processing technologies like liquid nitrogen cooling combine with Steam Infusion to unlock new product categories. Turbocharge your cooking process with Steam Infusion heating and mixing, scientifically proven to help food manufacturers overcome slow cooking times, burn-on contamination and over-processing. Learn how you can cook 500kg of fresh sauce in just five minutes on our stand and join the fastest growing cooking revolution in food processing. Join OAL at this Appetite for Engineering, talk to our experts and get hands-on with the new technologies that can help you tackle productivity, efficiency, and traceability in your food business. Learn how we’re using £4.5million of Innovate UK research projects to bring about a step change in food manufacturing performance using technologies including collaborative robotics, advanced vision, machine learning and big data. So, if you’re looking at a new dry materials handling system, yes we can speak to you about the practicalities of big bags and silos, but, you’ll also get to discover our cutting edge APRIL Robotics Weighing Station for fully automated weighing with a collaborative robot. Join the APRIL Robotics team when we speak at the KTN Agrifood Automation & Robotics Event in Peterborough on Friday 4th July. We'll be speaking about how robotic based material handling and processing systems can deliver a major uplift in productivity for food manufacturers. With world population predicted to reach almost 10 billion by 2050, there is a pressing need to boost the productivity of the agri-food sector while maintaining high sustainability standards and low environmental impact. This is one of the greatest challenges for the industry, especially when labour costs are rising. Automation and robotics are seen as one of the potential solutions for these challenges, and activities are underway that develop new platforms that could save time and costs, and reduce labour requirements. KTN is organising two events that will feature a range of speakers from the agri-food industry presenting examples of ongoing projects and successful approaches. These events will address the needs of the arable, horticultural and livestock industries, as well as the food processing and manufacturing sector. This events will bring together experts to discuss industry needs, technological gaps, key enabling technologies such as robotics and autonomous systems, imaging technologies, sensors, and the Internet of Things. Join us at the National Centre for Food Manufacturing, part of the University of Lincoln to learn about creating indulgent flavours with Steam Infusion and cooking with APRIL the robotic chef. Learn the science behind the Steam Infusion cooking process and how this unique cooking method transform your products from the University of Lincoln’s food scientists. Join Chris Brooks, OAL’s development chef as we cook up a batch of indulgent rice pudding and taste the Steam Infusion difference. Join the APRIL Robotics team when we speak at the KTN Agrifood Automation & Robotics Event in Belfast on Thursday 8th June. Experience cutting edge robotics and automation on our stand at Interpack 2017. We’re exhibiting at the leading process and packaging trade fair in Hall 5 on stand B28. The exhibition runs from Thursday 4th until Wednesday 10th May in Düsseldorf. Learn how to enhance the flavours and spices in ethnics sauces and ready meals at our cooking class with the University of Lincoln on Thursday 16th March. Our educational cooking classes offer the opportunity to learn about new food processing technologies that can help you create healthier products more efficiently. You’ll get to learn the science behind our Steam Infusion cooking technology and see a full demonstration of Steam Infusion and APRIL the robotic chef. Join us for Physics in Food Manufacturing (#PhysicsOfFood) at Sheffield Hallam University on 9th and 10th January 2017. Jake Norman, our Innovation Manager, has been invited to speak about the disruptive power of robotics in food manufacturing at the topical research meeting. The two-day event invites physicists and food professionals to discuss the role physics plays within food manufacturing. The event will revolve around three ‘grand challenges’ facing the industry as discussed at the Physics in Food Manufacturing Summit held in London earlier this year. An innovative, resilient food supply chain for 21st Century populations. We are also thrilled to announce that we will be appearing in the IJFST (International Journal of Food Science and Technology) with an article on the impact robotics and automation will have on the food science community. OAL's Jake Norman will be speaking in the "Smart Factory" session at Food Factory, a major European event on the Food Factory for the Future. The three-day event gathers the scientific community and companies of the Food chain to highlight and discuss the future food factory. Since 2001, the Food Factory conferences have been jointly organized by Laval Mayenne Technopole (LMT, France) and SP Food and Bioscience (previously SIK, Sweden). They take place every other year, alternately in Gothenburg (2001, 2006 and 2010) and Laval (2004, 2008 and 2012). In 2014, Food Factory took place in Uppsala, jointly with the 28th EFFOST Congress.